At Tenkay Electronics, we strive to provide the best service for our customers. To do this, we invest in the latest technology to improve the quality of our offering. For our SMD pick and place processing, we installed the new Yamaha iPulse M20 SMD placement machine for its high accuracy and adaptability. Whether we’re placing components on 1 or 10,000 PCB’s, the M20 has the most exacting technology that will achieve accuracy even with the most hard to place boards. 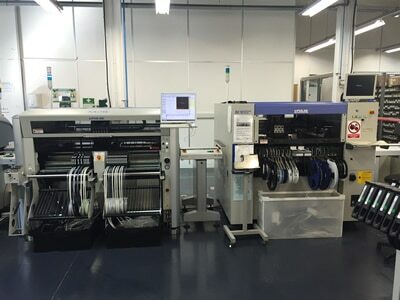 Read our blogs for more about the capabilities and installation of our new machine.